If soccer is a window to the world, then it shouldn't be much of a surprise that the rich got richer in 2014. For the most part, entrenched powers rule the people's game. Germany added a fourth star and the L.A. Galaxy a record fifth. Real Madrid won La Décima — the coveted 10th European crown — and capped off the year with a fourth club world championship. Powerhouses Bayern Munich, Manchester City and Juventus claimed domestic titles, and a Liga MX side (Cruz Azul) won the CONCACAF Champions League for the ninth consecutive season. Ronaldo or Messi? Messi or Ronaldo? Meanwhile, FIFA maintained its grip on the sport, with its bank accounts swollen thanks to the World Cup in Brazil. The least soccer's overlords could do is entertain while they dominated. And that they did in 2014. Germany, L.A. and Madrid won in style. FIFA remained cartoonishly aloof — what else is there to do at this point but laugh? And there still was a bit of room for the unexpected, from the La Liga race to the names on U.S. score sheets in Brazil. In the end, there was plenty to enjoy. Does the aftertaste of this month's NCAA College Cup final still linger? If so, then celebrate a year that featured several championship games decided by exquisite, late goals. Every player's dreams boil down to this. It's soccer at its barebones best — one moment of clutch brilliance that changes history. Jurgen Klinsmann welcomes your armchair quarterbacking. Second-guessing comes with the territory in big soccer nations, and the U.S. national team coach certainly made decisions that warrant scrutiny. But there can be little doubt that his faith in younger players paid World Cup dividends. The fearlessness and athleticism revered by Klinsmann was embodied by defender John Brooks, forward Julian Green and winger DeAndre Yedlin. They all made surprising but significant contributions. Together, the German-born American, U.S.-born German and MLS academy product symbolized the onset of the Klinsmann era. 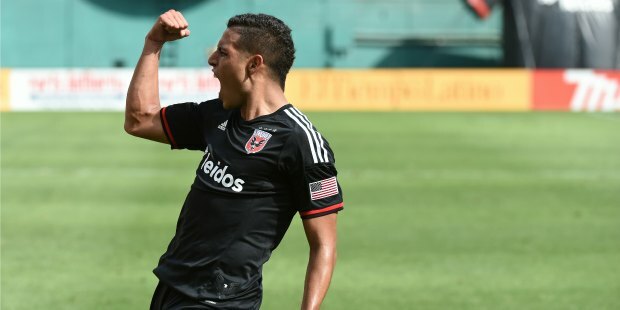 D.C. United won at least one major trophy in nine of its first 18 seasons, but you could make the case that its 2014 campaign, which ended without silverware, was the most important in club history. Coming off a miserable 2013 season, D.C. needed to win, and win quickly, in order to generate the sort of momentum — and draw the crowds — that might help convince the city council to spend $150 million on the land required for a new soccer-specific stadium. United co-owner Jason Levien retained coach Ben Olsen and GM Dave Kasper and trusted them to improve and deliver. They did so, and built a first-place finisher that attracted D.C.'s highest average attendance in six years. On Dec. 17, the council passed the stadium bill unanimously. Had the win and crowds remained rock bottom ... well, United doesn't have to worry about that now. This season wasn't about chasing a title. It was about ensuring the club's survival. Boosted by a clutch performance for the ages, United secured a far shinier prize. I doubted Jermaine Jones, and I wasn't alone. He had a few good moments in a U.S. jersey, but overall, the veteran midfielder just didn't seem to fit in. Off the field, he could be aloof. On it, he often appeared out of control. His runs were unpredictable, his tackles too rough and his passes too hard. This year, Jones emphatically erased every doubt. He was fantastic at the World Cup, where he was a box-to-box force who defended with courage and discipline. He also scored a huge goal against Portugal in the second game of the group stage. Jones took interest in becoming a locker room leader and actually asked U.S. Soccer's PR staff if he could spend more time with the press. As it turns out, the notorious hard man (he's nicknamed kampfschwein, or "fighting pig," in his native Germany) has a great sense of humor. He opened up to fans through social media and helped transform the New England Revolution from a contender into Eastern Conference champions after signing in August. Revs coaches and players loved him. However and whenever it clicked for Jones, U.S. soccer is much better for it. It was a brutal year for the reigning MLS MVP. He missed out on his last best chance to earn a coveted U.S. cap after falling ill hours before the Americans met South Korea in a Feb. 1 friendly. He struggled with injuries as the MLS season unfolded, and his Chicago Fire won only two of their first 16 league games. In early September, Magee was shut down for the year after undergoing hip surgery. But he never lost his sense of humor, whether it was on his must-follow Twitter account (@magee9) or in this epic KickTV short released in July. Call it the Most Valuable Parody. Among the highlights: Hearing Clint Mathis say, "A team-wide case of the runs," Thierry Henry's turn as an incredulous maître d' and experiencing a joyride with Michael Bradley. We're looking forward to seeing Magee back on the field, but won't mind re-watching this in the meantime. Two teams stood out during a year that catered to the favorites. They were brilliantly coached, tough to break down and served as wonderful reminders that the games aren't played on paper. Atlético Madrid broke the La Liga stranglehold enjoyed by Real Madrid and Barcelona, winning the title on the 2013-14 season's final day with a stunning 1-1 draw at the Camp Nou. Atlético finished three points above its powerful rivals, which had combined to win nine consecutive championships. To (nearly) top it off, coach Diego Simeone's side came within a couple of minutes of winning the Champions League, but Real tied the final in second-half stoppage time, then pulled way in overtime. Costa Rica was the World Cup's Cinderella and the first CONCACAF team to advance to the quarterfinals since the U.S. did the deed in 2002. It finished first in a brutal group featuring three previous champions (England, Italy and Uruguay), outlasted Greece in the second round and then shut out the Dutch before falling on penalty kicks. Coach Jorge Luis Pinto and goalkeeper Keylor Navas became stars, and like James Rodríguez, Navas parlayed that World Cup run into a gig with Real Madrid. MLS gets most of the attention, but there are worthwhile stories in U.S. soccer's lower tiers as well. 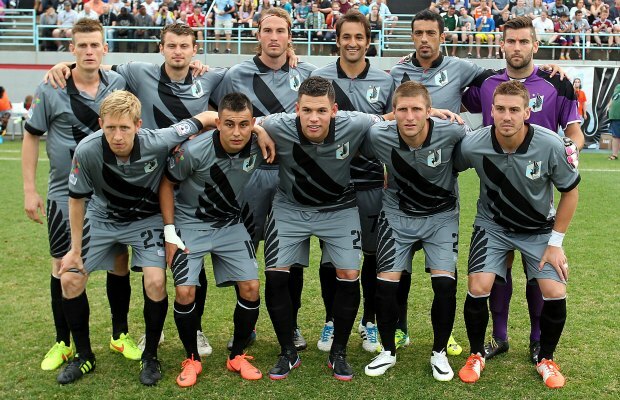 If you're not paying attention to Minnesota United and the Sacramento Republic, especially, you're missing out. United finished with the NASL's best regular season record, sent Miguel Ibarra to the U.S. national team and may have another star on its hands with Californian striker Christian Ramirez. Sacramento, coached by former MLS MVP Preki Radosavljevic, won the third-tier USL Pro title in its inaugural campaign and played before capacity crowds. It's expanding Bonney Field to approximately 11,000 seats next year. Both clubs boast passionate and well-organized fans, gorgeous branding and inventive, ambitious ownership. As much as anything going on in MLS, Minnesota and Sacramento highlight American soccer's organic potential, whether they eventually join the big leagues or not. Keep on eye on Indy Eleven as well. The NASL expansion team won only six games this season but drew more than 10,400 fans per game, a league high, to Carroll Stadium. 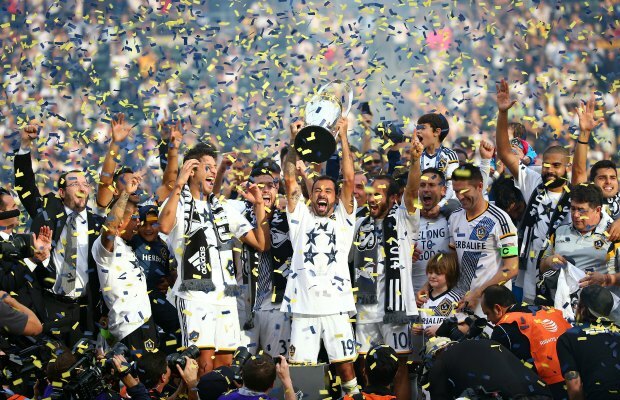 Moments after managing the L.A. Galaxy to a third MLS Cup title in four seasons, Bruce Arena reveled in the fact that his team was dominating a league that "would be happy just moving the trophy from one franchise to the next." But MLS can't do that because L.A. keeps raising its game. The Galaxy spend smartly, develop the sort of depth that withstands injuries and national team call-ups and routinely get the best out the club's top players. Keane was never complacent. Landon Donovan maintained his focus, and may even have improved, as retirement approached. Omar Gonzalez avoided a World Cup hangover. A.J. DeLaGarza fought through personal tragedy. Robbie Rogers and Gyasi Zardes stepped up. From ownership down, L.A. is a club with an ingrained championship culture. The Galaxy adapt and improve. It may be getting old for those outside StubHub Center, but it also sets a much-needed bar in a league where some still settle for mediocrity. James Rodríguez was a rising star, but there's no shortage of those. The decorated young Colombian helped FC Porto claim three Portuguese championships, and in the summer of 2013, he was transferred to AS Monaco for some $58 million. He scored 10 club goals in 2013-14, and entering the World Cup, the 22-year-old had netted five for his country. A player to watch? Absolutely. A World Cup golden boot winner? No one saw that coming. James (the name on his jersey) and the planet were on a first-name basis after Brazil. Los Cafeteros' prospects dimmed with Radamel Falcao's injury, but Rodríguez stepped up with six goals in five games. He scored in every match. He scored an all-time classic in the second-round win over Uruguay on an audacious 25-yard volley, and he led a Colombian team that gave the hosts all they could handle in the quarterfinals. Real Madrid then spent nearly $110 million to bring Rodríguez to the Santiago Bernabéu, and he's tallied nine more goals for the world's biggest club. It's not exactly a rags-to-riches story, but in a sport dominated by the Ronaldo/Messi duopoly, James offered a surprising change of pace. It's now impossible to cover a U.S. national team game without acknowledging the fans. They have become part of the American soccer story, and that was the case more than ever in 2014. It hit home in the hours preceding the World Cup opener in Natal, where a pre-game walk around the Arena das Dunas meant pushing through thousands of red, white and blue clad supporters who'd made the long trip south. More World Cup tickets were sold in the U.S. than in any other country outside Brazil — a fact that sent a powerful message to those still unsure whether the sport has established a foundation here. We couldn't attend the pre-game parties, but we certainly heard about them. And the "I believe…" chant became as much a part of the World Cup's soundtrack, at least to me, as AC/DC's "Thunderstruck," which someone at FIFA wanted played before every game. The year in American soccer was bookended by two memorable images. In April, there was the "San Zusi" tifo unveiled before the U.S.-Mexico friendly in Glendale, Arizona, reminding El Tri that they had their rivals to thank for a World Cup berth. Then in October, there was this. Sums up the year quite nicely.